I wasn’t exactly sure what I was looking for and had to rely on the, ‘I’ll know it when I see it’ method, which I’ve used many times before, with varying degrees of success. On this occasion it worked out just fine. I wonder whether the nails in this door really were made locally? Before Christ Church opened in 1820, the area was part of the parish of St Michael’s, Lichfield, meaning a very long walk on a Sunday morning! 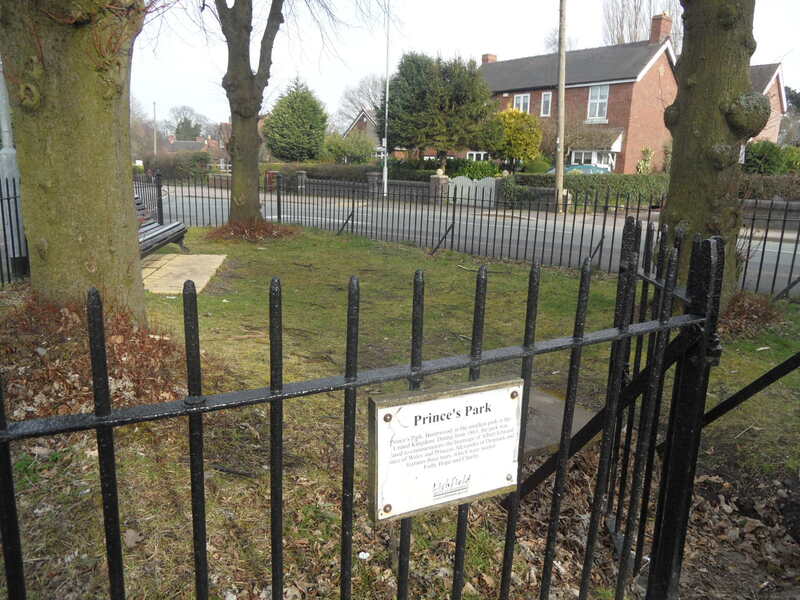 I couldn’t come all the way to Burntwood and not visit the world’s smallest park (is this official now?) 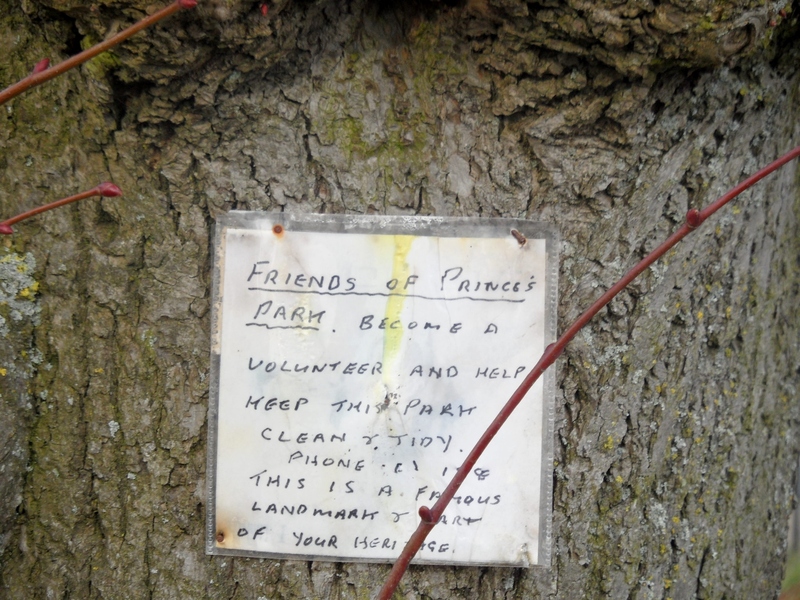 with its trees known as Faith, Hope and Charity and so I had a five minute sit down and a bit of ‘We need a bigger park’ banter with a passerby, before heading to the Star Inn. 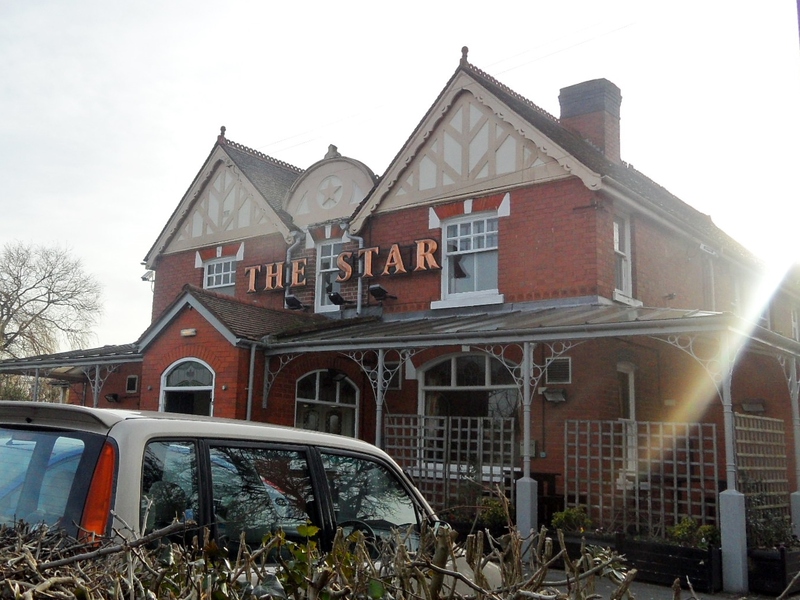 According to the Burntwood Heritage Trail booklet, the Star Inn was where local nailers would take their products to be be weighed and paid for by ‘middle men’, who would also replenish their supplies of iron. 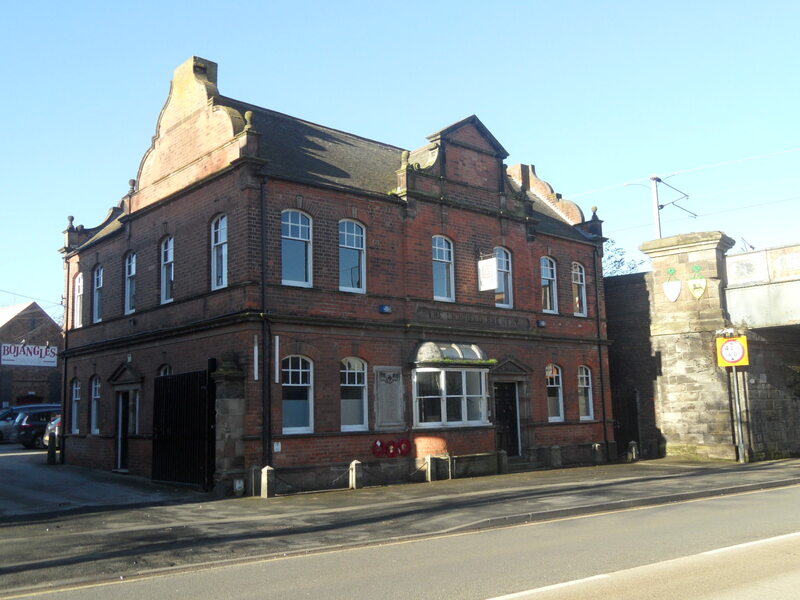 The pub building itself is relatively modern but, according to the booklet, there has been a drinking establishment on this site since at least 1600 when a local blacksmith was licensed to keep an alehouse here, becoming known as the Star Inn by 1790. 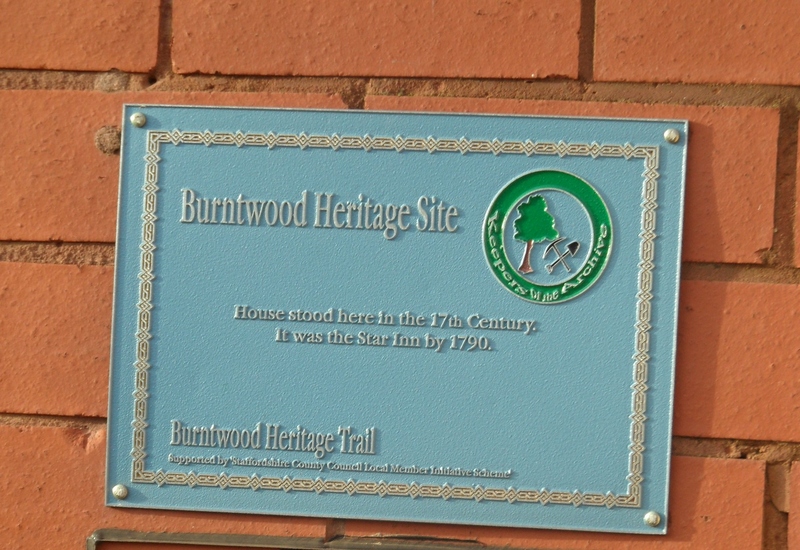 One of the blue plaques on the Burntwood Heritage Trail, created by the fantastically named ‘Keepers of the Archive’. 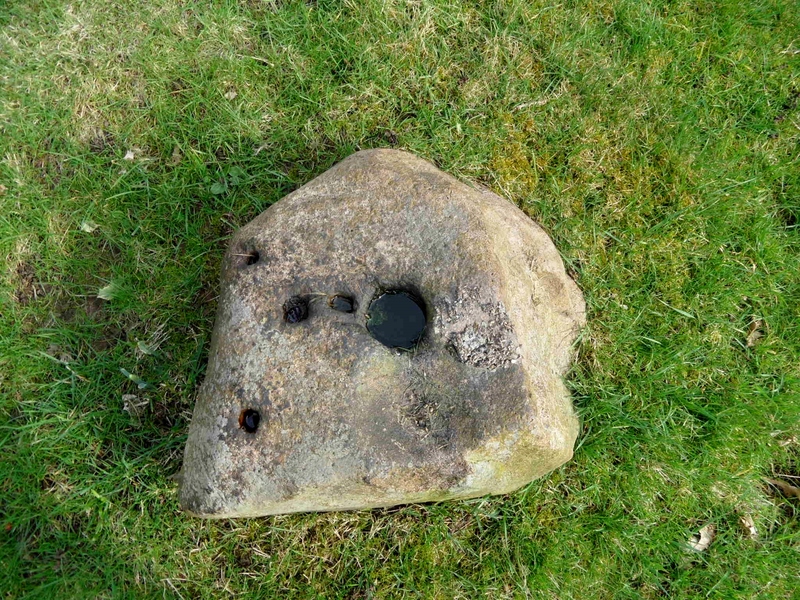 Back home, I had a look for other examples of nailers’ stones and found that the Black Country History website has a photograph here of one very similar which they describe as a nail making anvil from St Peter’s Rd, Darby End. 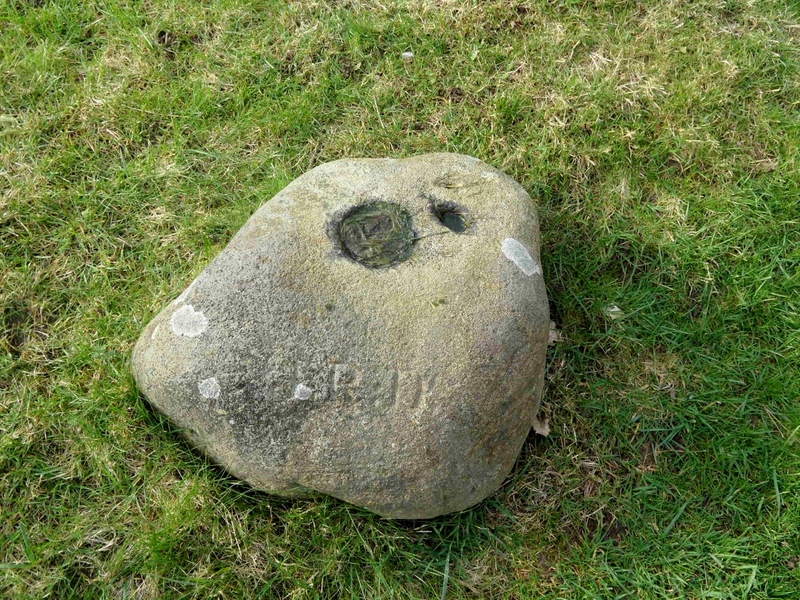 I notice that there appear to be initials or names on the stones and it would be fantastic to know more about their provenance. The heritage booklet says that making nails was a way for a farming family to make extra money, and that the work was often carried out by the woman of the household. I know these are Burntwood objects, rather than Lichfield ones but they tell the story of everyday folk trying to make a living for themselves and their families in an industry that’s now long gone, and that’s got to be worth sharing. 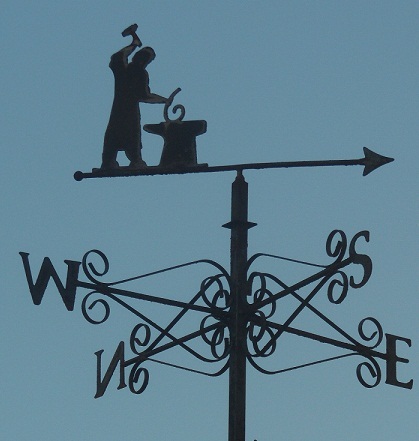 With my ongoing fascination with the blacksmiths of Lichfield, I was interested to find a short article in an old newspaper about William Goodwin. At the time of the article, August 1950, Mr Goodwin was the oldest trading smith in the city, working with his son in the business his father had started before him. 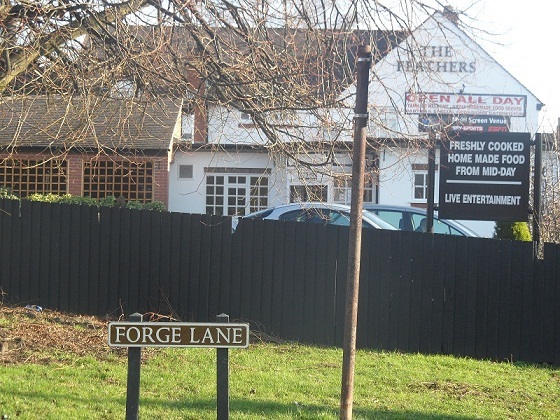 The article says that at the turn of the century there had been around ten blacksmiths in Lichfield, with demand from stables at local inns and estates. Mr Goodwin remembered shoeing more than fifty horses a week, but in 1950 was doing less than ten. As a result of this reduced demand for the trade, Mr Goodwin’s forge was one of only three remaining in the city. Another of the three was Mr W Ball of St John St, who started his business after the First World War. He explained that his survival was down to the priority attached to agriculture, adding that his main work was now with agricultural implements and fixing wheels, most of the dealings with horses being confined to riding stables. Of course, now there are none remaining. Whilst Lichfield is clearly no Birmingham or Black Country, it did of course have its trades and sites of industry. I think that this is sometimes forgotten and so I’m always pleased to be reminded of where Mr Goodwin’s forge (the one where apparently a man from France had his dancing bear shod of course!) stood on Beacon Street and of the other blacksmiths of Lichfield, when I see the street names ‘Smithy Lane’ and ‘Forge Lane’. Place names can tell stories, and should always be chosen with care. I spent the morning with Dave and Angie Gallagher, who are doing a brilliant job of taking the ever growing collection of old photographs out and about into the city, encouraging people to share their stories and memories about Lichfield. 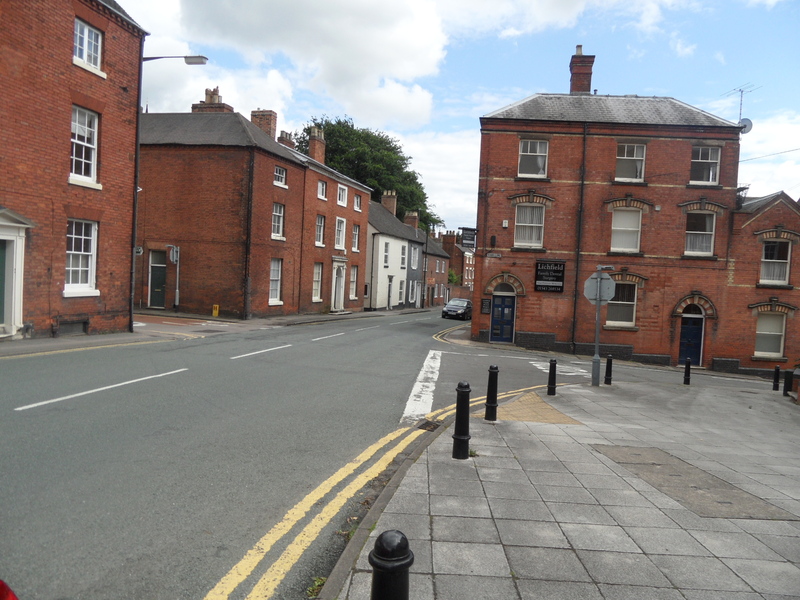 I had a great time listening to people reminisce about how Lichfield used to be in days gone by and it’s put me well and truly in the mood to share more of Mr JW Jackson’s memories of the city’s shops and trades back when he was a young boy in the 1870s. 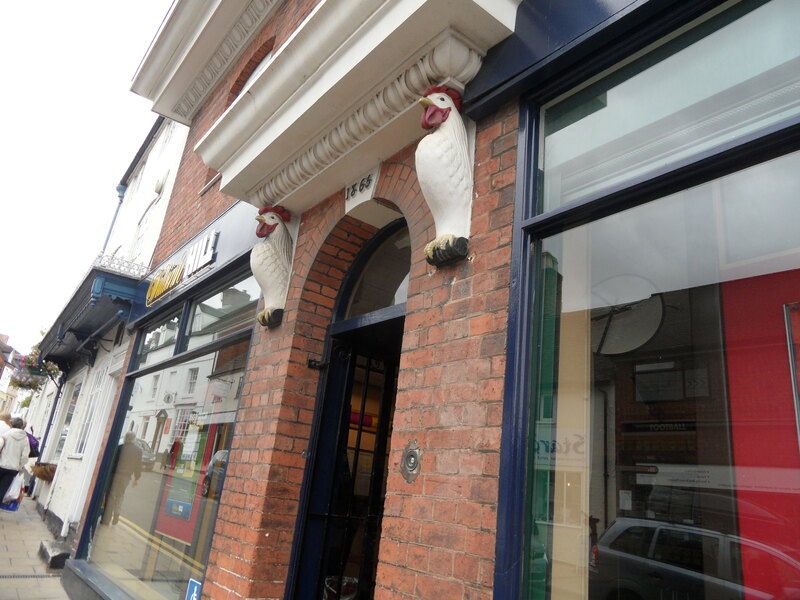 For obvious reasons, I thought this shop, now a bookies, might be Mr Welch’s fish and poultry shop? Mr Jackson’s article begins with Sedgewick’s fried fish shop in Tamworth St, selling oysters, cockles, mussels, periwinkles, shrimps, bloaters and kippers. He also recalls H Welch’s fishmonger and poulterer’s business opening some years later on Tamworth St (Mr Jackson’s article was written in 1945 and he mentions that at that time Welch’s shop had been rebuilt as a ladies’ hair dressing saloon). Another fish shop was owned by James Clarke on Sandford St, and Mr Jackson recalls Mr Clarke with a ‘large, deep, circular basket suspended with a strap round his neck, filled with fried fish or oysters, shrimps and shellfish or at other times nuts and oranges, of which he found a ready sale in the public houses’. In his spare time, Mr Clarke was a groundsman and umpire for the Cricket Club on the Birmingham Rd. Mr Jackson says that there were a large number of greengrocers in Lichfield, including Elkingston’s in Tamworth St (Wigham’s in 1945) and Tanner’s in Bird St (Perks’ Store in 1945). Adjoining Moss’s Entry on Bird St was Mr Walker’s grocery shop, and further down the road near to the King’s Head was Mr James’s grocers. On the corner of Shaw Lane and Beacon St was another grocers, a step below the pavement and old fashioned in appearance. Originally owned by Mr Hall, it was taken over by a Mr Warmington who rebuilt the old shop and added a bakery. Also on Beacon Street was Mrs Hague’s shop which apparently sold everything from ‘a needle to a sack of flour, including bread, sweets, etc’. The grocery business of old Dan Millington on Stowe Street, was particularly memorable due to the many tallow candles suspended from the ceiling. 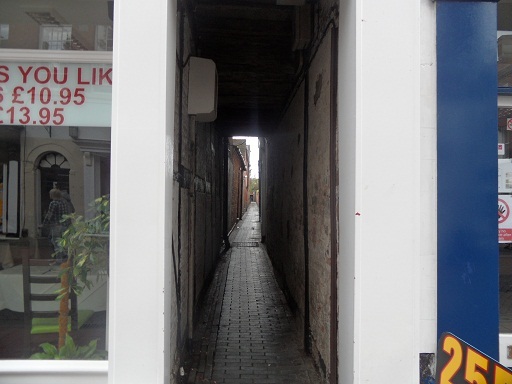 Moss’s Entry, leading to Friars Alley is now between Green T and Lichfield Kebab shop. Apparently, back in the 1870s, few people in Lichfield bought ready made shoes, preferring made to order footwear from places like Heath’s in Conduit St and Playfer’s in Market St (1). Mr Jackson remembers being measured for his own boots by Mr Brockhouse of Beacon St, who lived in a small cottage opposite St Chad’s Rectory. Mr Hodges at the bottom of Beacon Hill (near Gaia Lane) had a shop which did ‘a large better class trade in boots and shoes made by himself on the premises’. Mr Jackson says there were also many cobblers who concentrated on repairs, including Tommy Lyons who lived in a small cottage in Gaia Lane and was described as a very religious man who could often be seen making his way to a meeting with his old well worn Bible. I’m thinking we should all take a leaf out of Mr Jackson’s book and document our surroundings. This morning showed that the places we live and work in are continually evolving and it’s not until we stop and look back that we realise how much has changed (for better or for worse, depending on your point of view……). I found a photo of a shop called ‘Shakeshaft and Playfer’ on Market St, Lichfield thought to be from the 1860s on Staffs Past Track here. Is this the same Playfer? After zooming in it seems to be a men’s accessories shop – I can see ties and what look like straw boaters in the window! Also after zooming in, you can see the faces of three young people at the window, looking out onto the funeral procession below. I wonder whose funeral it was? Edit: Later, I found that Shakeshaft and Playfer were also undertakers, and arranged the 1894 funeral of George Fox of Elmhurst Hall amongst others, which would explain the photograph! Whilst having a browse in Lichfield Record Office, I came across an account of more archaeological finds discovered at Minster Pool. During the construction of a storm water sewer in the 1970s, surplus soil was taken from the pool to a council rubbish tip. One day Mr Miller, from the city’s Engineering and Surveyoring department, happened to notice fragments of Cistercian ware amongst the peaty earth and alerted local experts. On examining the tip more closely, they discovered that the soil from Minster Pool also contained lots of fragments of leather. Mr Miller and the others had discovered the remains of medieval leather shoes from a cobbler’s workshop that had been operating near to Minster Pool between the years 1400 and 1550. It’s thought that after being repaired several times, the shoes were in such bad condition that they were discarded by the cobbler (only for them to resurface on another rubbish heap some five hundred years later!). 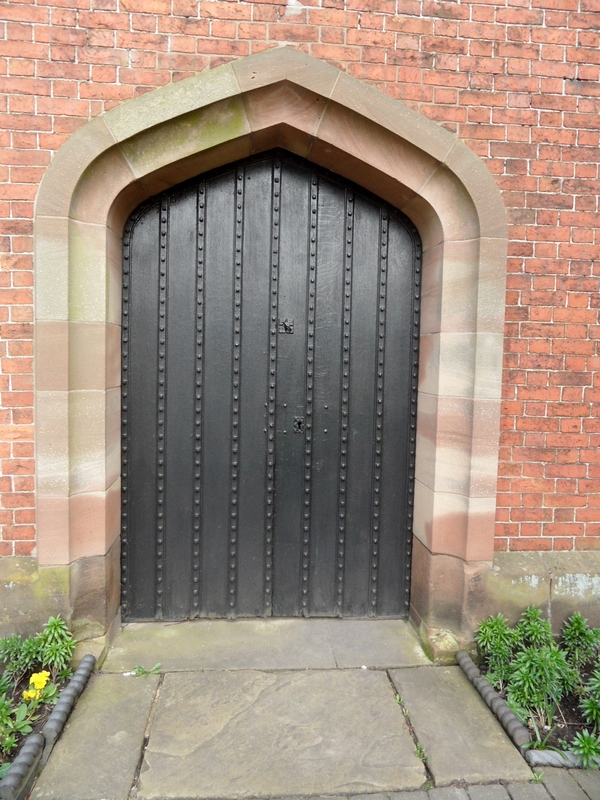 The account I read said that after their discovery, the shoes had been taken to Lichfield Museum. On returning home I was delighted to see that some kind soul had photographed some of them and added them to the Lichfield District Council flickr stream. However, in two and a half years they’ve only had sixteen views (and I think three of those were me!) so now you know the story behind how they were found, please pop and over and take a look at them here! It’s a shame that we’ll probably never know the story of the people the shoes belonged to, or the story of the cobblers who patched them up time and time again…. 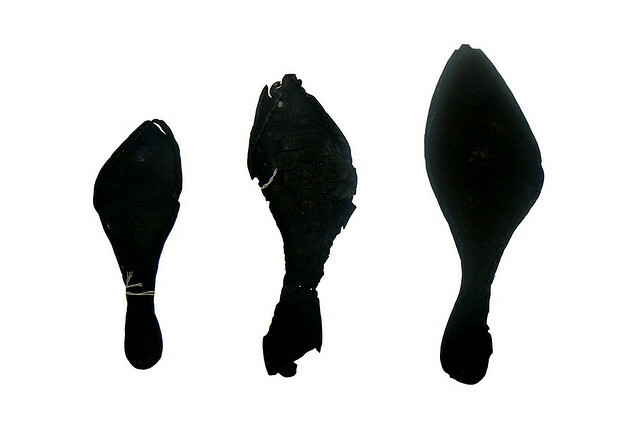 Three examples of 500 year old leather shoes found in soil from Minster Pool on the council rubbish dump! 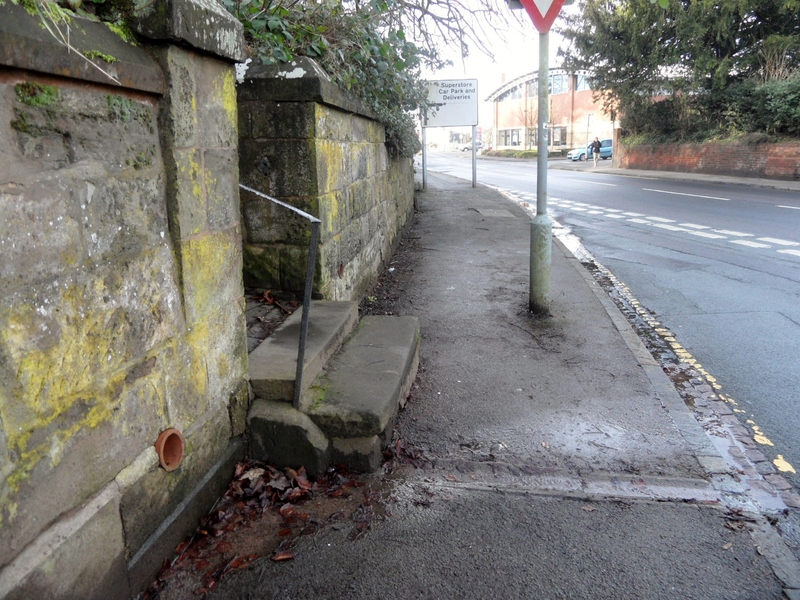 Image taken from Lichfield District Council flickr stream. This natural spring has flooded the church’s crypt in the past. The churchyard was once used as pasture (1) but now the cattle and sheep are long gone and wildlife has been allowed to reclaim much of the churchyard. 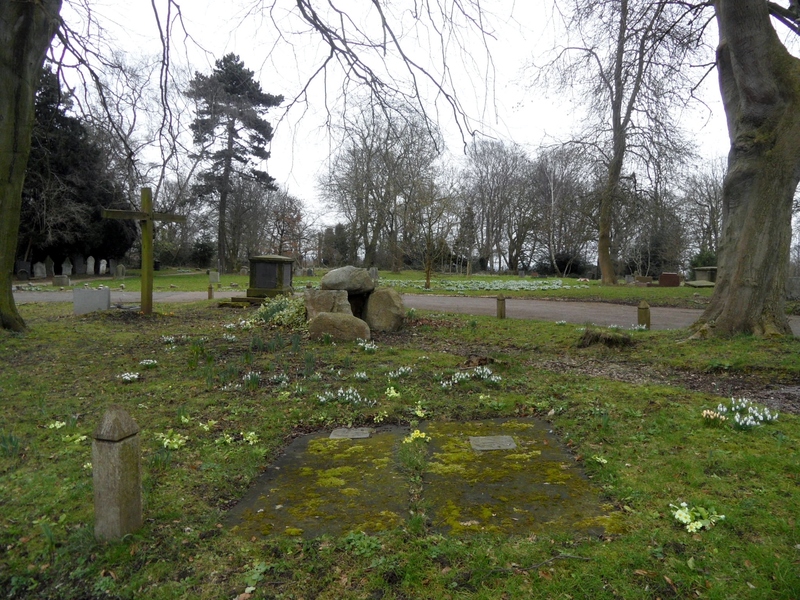 Bird song fills the air and along the paths and amongst the graves are clusters of spring flowers. Snow drops are still hanging on in there, and primroses and daffodils are now well on their way. During my recent visits, I’ve also met several dogs (and their owners!) 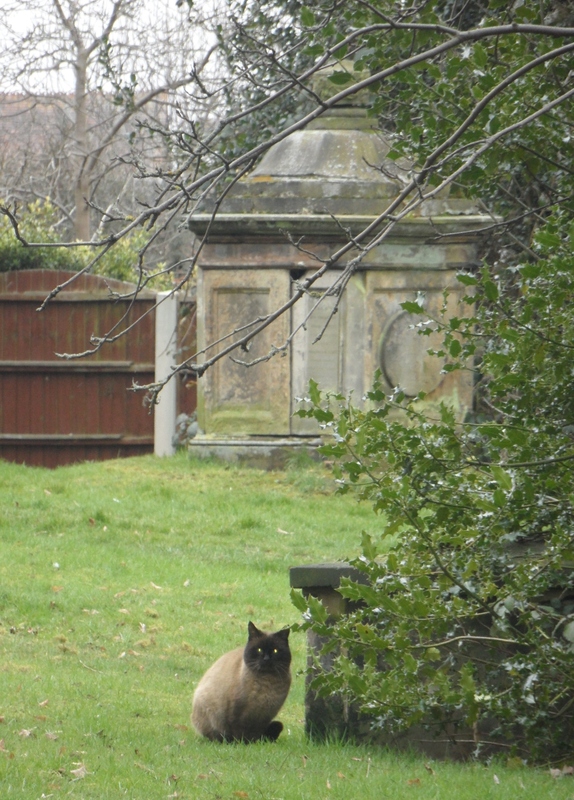 and some of the neighbourhood cats. I noticed that Georgia Locock, a young wildlife enthusiast who has her own blog on Lichfield’s wildlife has also been along to the churchyard on the lookout for Spring recently and you can see her lovely photographs here. On the south (I think!) side of the church itself, I noticed stone heads, very similar to those at Christ Church. 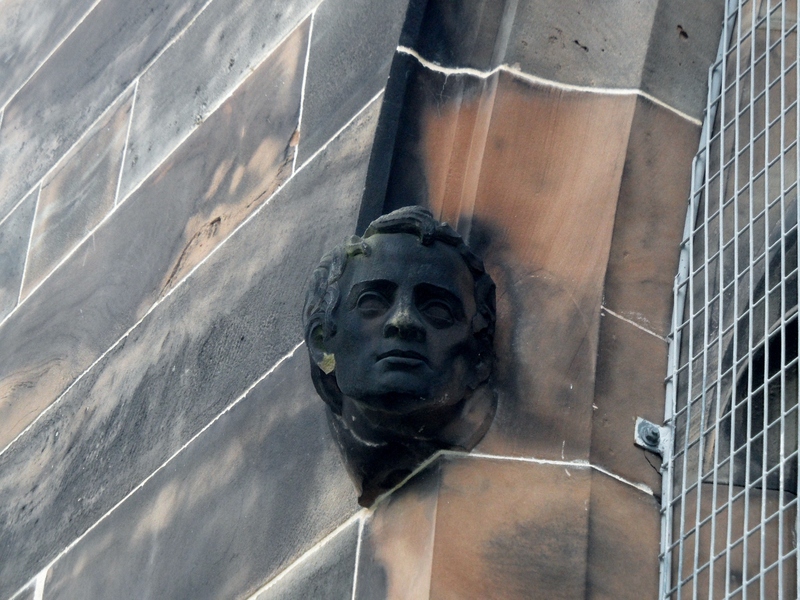 A couple of years prior to working on Christ Church, Thomas Johnson, the Lichfield architect, carried out an extensive restoration here at St Michael’s in 1842/1843 and presumably these heads are one of his additions. Whilst his work at Christ Church is generally applauded, Johnson’s work at St Michael’s has been criticised by some, as much of the original medieval fabric of the church was destroyed during his renovation. (I don’t know much about architecture, and so am not really in a position to comment. However, there does seem to be a certain irony in removing original features, and adding new ‘medieval style’ ones, such as these heads.) 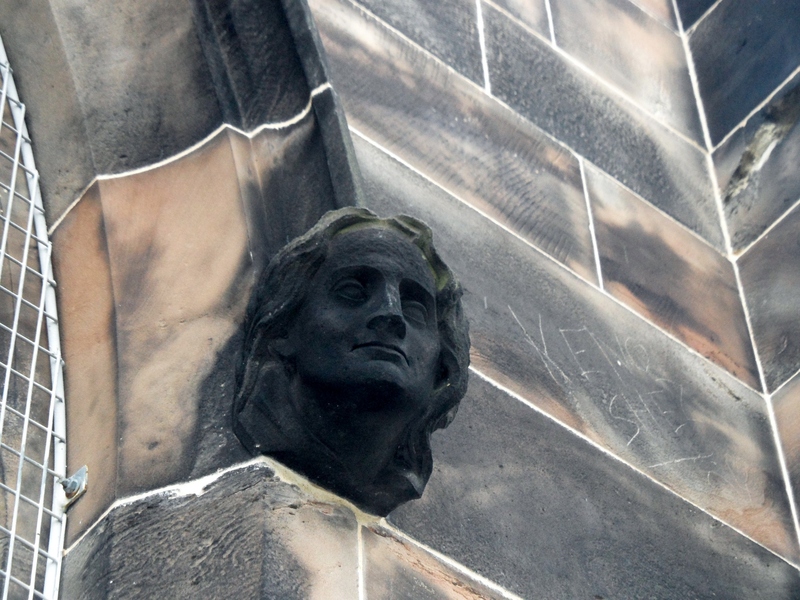 Again, as at Christ Church, I wonder who these faces captured in stone belong to and who carved them? Looks like someone was inspired to create their own head alongside the carved ones…. 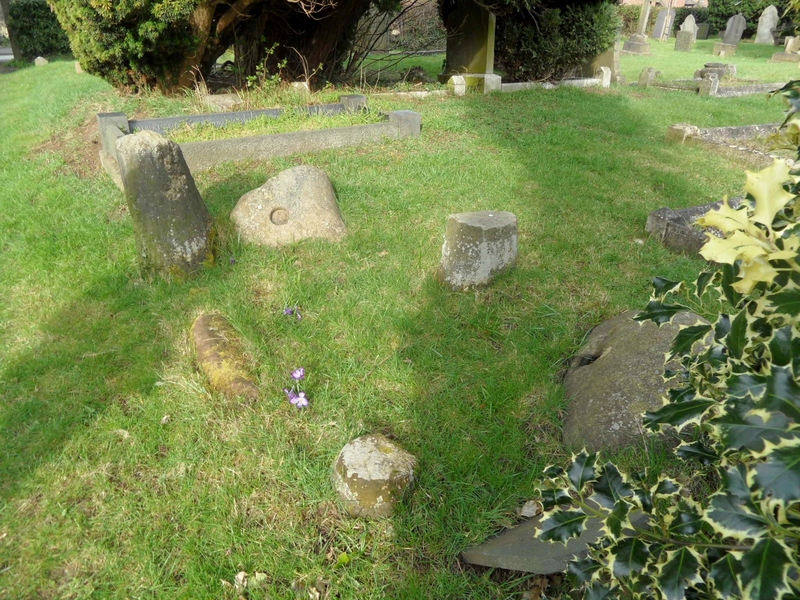 Many of the headstones and memorials that surround the church feature the names of the stonemasons that created them – Joseph Johnson of St John St (was this any relation to Thomas? ), John Winslow of Tamworth St, John Hamlet of Dam St, James and George Lamb of Sandford St amongst others. Did any of these craftsmen also work on the church itself? 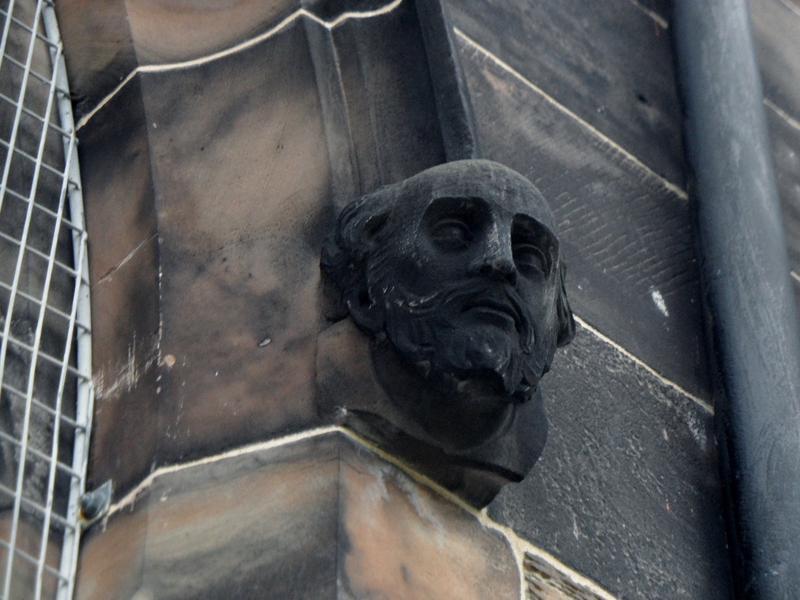 The Edinburgh Gazette of January 16th 1863, notes that John Hamlet, listed as an architectural draughtsman and stonemason of Dam St, Lichfield, has been awarded bankruptcy. How did they fall upon such hard times? 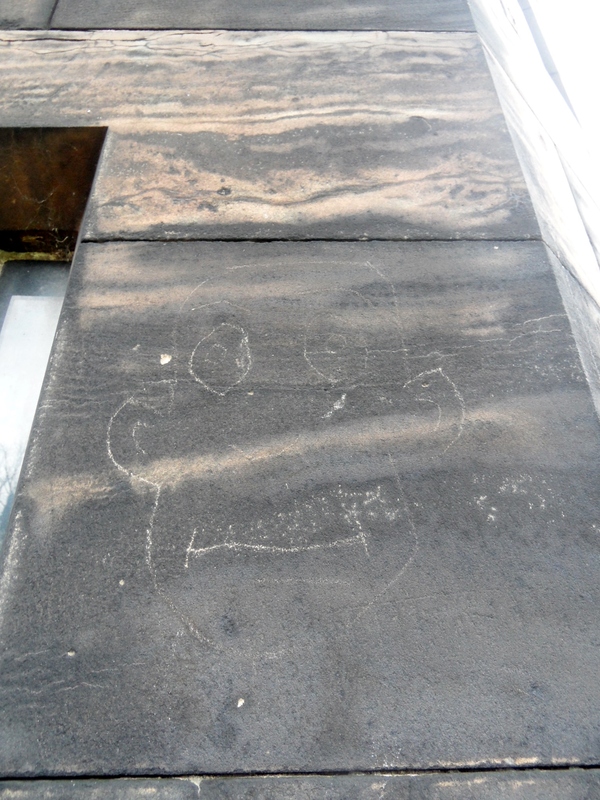 I’d like to find out more about these craftsmen whose job it was to record the lives of others in stone. 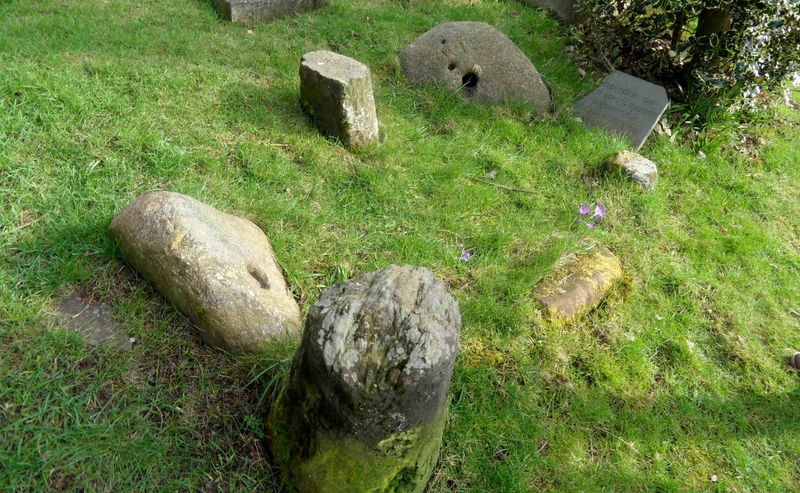 1 – I was surprised to read in the county history that the churchyard was once let as pasture, although in 1801, the grazing of cattle was deemed inappropriate due to the ‘damage and desecration’ caused and it was decided that only sheep should be allowed. 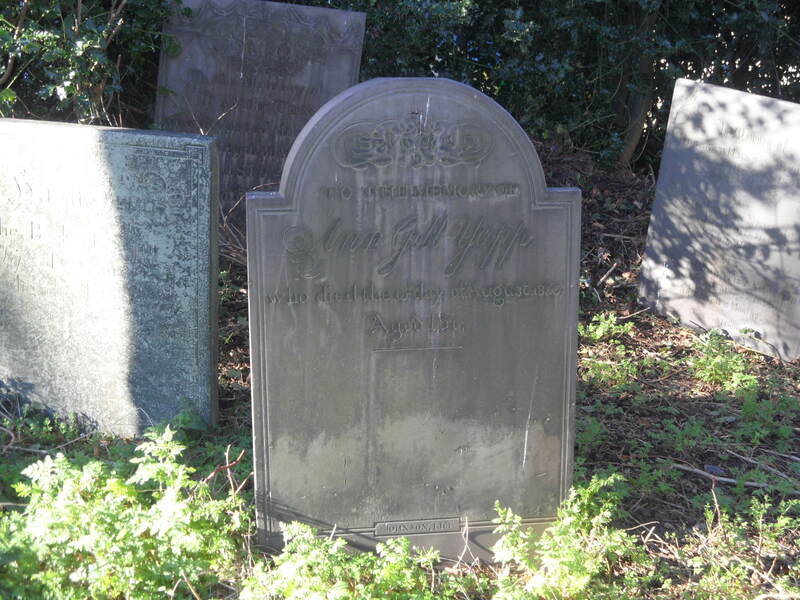 However, this was ignored, with tragic consequences – in 1809, there is an entry in the church register for the burial of a child, Joseph Harper, who was killed by a cow in the church yard. 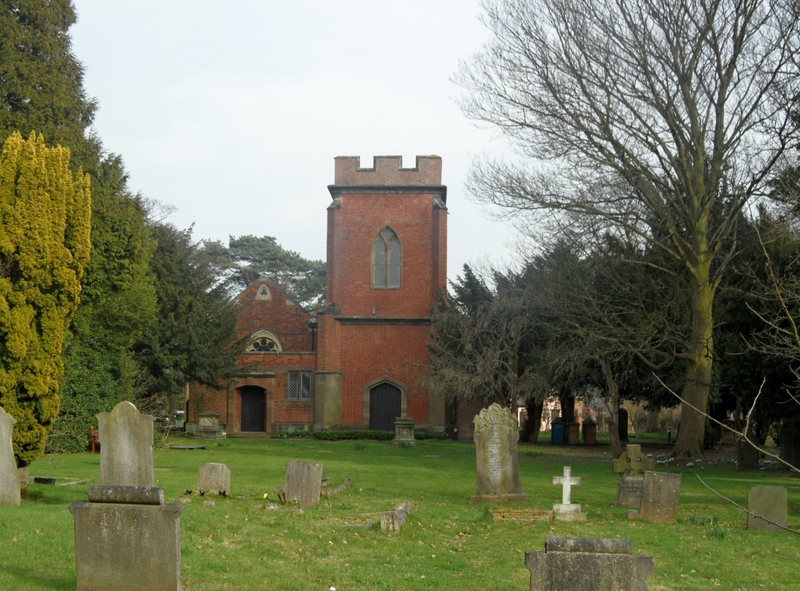 Lichfield: Churches’, A History of the County of Stafford: Volume 14: Lichfield (1990), pp. 134-155. When I first moved to Lichfield, the building at the end of the track leading through Leomansley Woods was a derelict shell. Intrigued, I looked into the history of the area and found out that it was probably related to a fulling mill that had been built there in 1791 by John Hartwell, on the edge of the Pipe Green trust land (you can read more about this beautiful part of Lichfield on the Trust’s website here). The OS map from 1815 shows a ‘Cotton Mill’ in that area. Later maps refer to it as Leamonsley Mill. (In fact, the spelling of the name of the mill, and the area has changed several times. Variations include Lemmonsly, Leamonsley, Lemonsley, Lemondsley and in recent years, the name seems to have settled at Leomansley!). This is the only image of Leomansley Mill I know of. 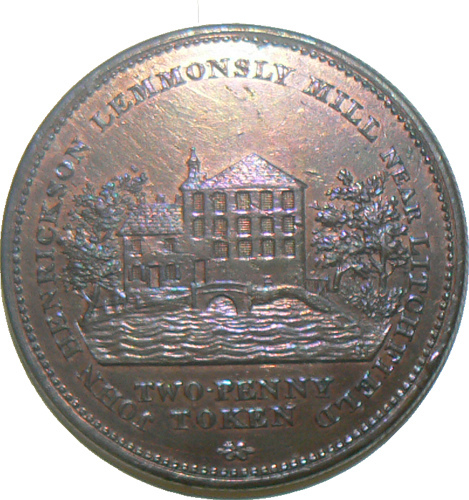 It’s a trade token showing Leomansley Mill at the time of John Henrickson. Although the token isn’t dated, we can work out roughly that it must date to between 1809 and 1815 – the county history tells us that Mary Hartwell, widow of John Hartwell, let Leamonsley Mill together with a warehouse and weaving shop on Lombard St in 1809, and the following notice in the London Gazette tells us that Mr Henrickson, who is named on the token, went bankrupt in 1815. All the machinery, mills, spindles, bobbins, winding frames, warping-mills, looms, shuttles, and other apparatus, suitable for carrying on an extensive trade in the Cotton Spinning and Calico-Weaving business, now standing in Lemmonsley-Mill and Lombard-Street-Factory, in the said City of Lichfield, late the effects of the said Bankrupt. The machinery and implements are all nearly new, and in excellent condition, and may be viewed by applying to Mr. Palmer, of Mr. Rutter, of Lichfield aforesaid, the Assignees of the said Bankrupt;and further particulars may be had at the Office of Mr. Foster, Solicitor, Rugeley, Staffordshire. Recently, I found a newspaper notice of the sale by auction at The George Hotel on 24th May 1833, giving another detailed description of the mill. ‘A valuable watermill called Leamonsley Mill with a large Head of Water and Appurtenance, situated at Leamonsley near the city of Lichfield, formerly erected as a Fulling Mill, but lately re-built four stories high, and now in work and used for spinning hosiery and knitting yarn for the Leicester and other markets. Power to any extent may be added by erecting steam, being on the road from the Brownhill Colliery. Also. a right of four inches of top water from the pool of John Atkinson of Maple Hayes, covering about six acres of ground; with a good dwelling house, garden. land, combing shop and premises occupied therewith, late in lease to Thomas Leach. The Machinery and Plant of the above Mill, for spinning floss or fleecy wool, comprising spinning frames, roving and doubling machines, a very capital overshot or breast water wheel, constructed of iron. An excellent noncondensing or high pressure steam-engine, 2 feet stroke, of about 8 horse power, with beam, fly wheel, and governor and steam boiler, together with the shafting, as recently in use. Also, a capital brass lift and force pump, with lever on plank, quantity lead pipe. And yes, I am trying to locate a ‘Glossary of Mill terminology’ to work out what half of those things are! I wonder if the sale was related to the bankruptcy of James Johnson of Lemonsley Mill in January 1858, as notified in the London and Edinburgh Gazettes? The fact the building was ‘being required for other purposes’ is an interesting one…by 1884, ‘Leamonsley Cottages’ are shown in the place where the mill once was. I believe that by this time, it had become part of the Maple Hayes estate, and the cottages were used to house some of its workers. I’d like to know more about the state of this industry to discover why more than one bankruptcy featured in the history of the mill, and also why in 1860, a working mill was abandoned in preference of using the building as accommodation for servants? I find it hard to imagine Leomansley as a place of industry, but it’s why the area developed in the early 19th century. A while back I did a post about how the 1841 census showed that many residents seemed to have been employed by the mill. Of course, whilst the area of Leomansley grew up around the mill, the mill presumably was there as a result of Leomansley Brook. 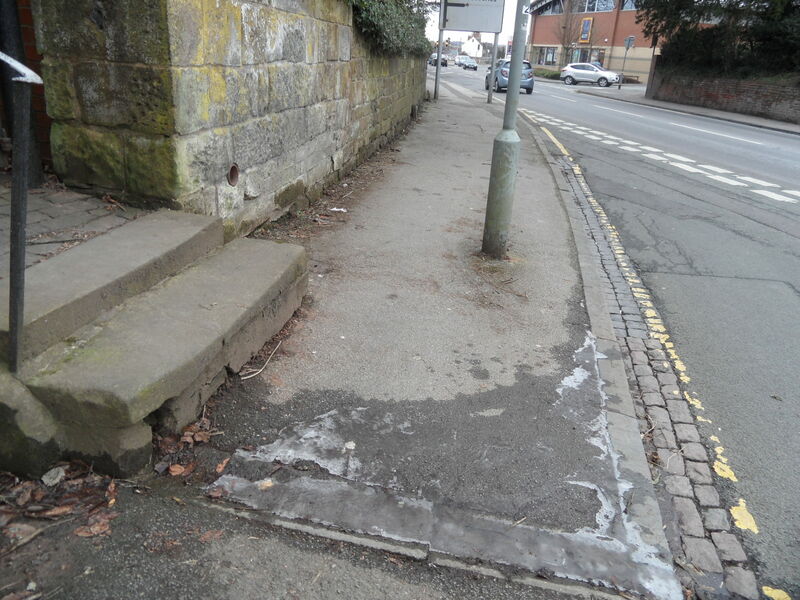 And Leomansley Brook deserves a post of its very own….